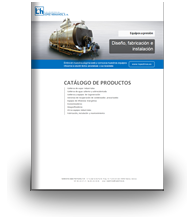 LGD gas scrubbers - López Hermanos, S.A.
Our LGD gas scrubbers are designed to protect the environment from the products of hydrocarbon combustion generated by machines running on fossil fuels, e.g. 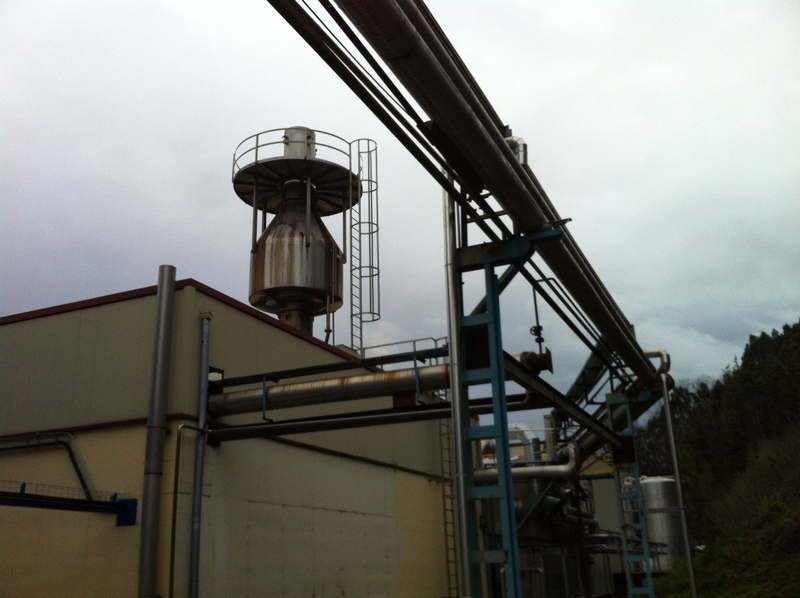 steam generators, furnaces, thermal oil heaters, solid waste boilers, etc. 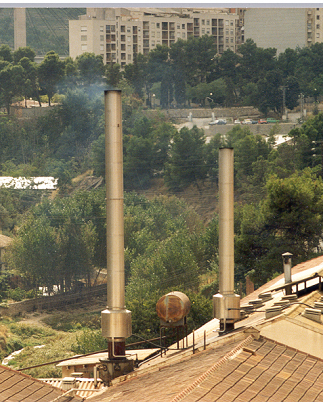 Gas scrubbers are fitted to the combustion device chimney. 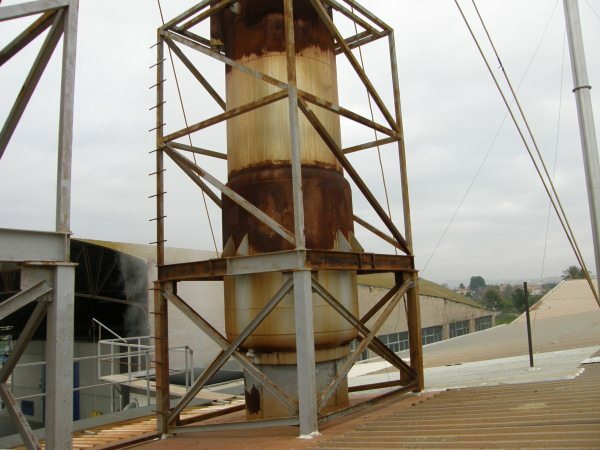 If necessary a new AISI-316-L stainless-steel chimney can be installed using stainless-steel hardware. 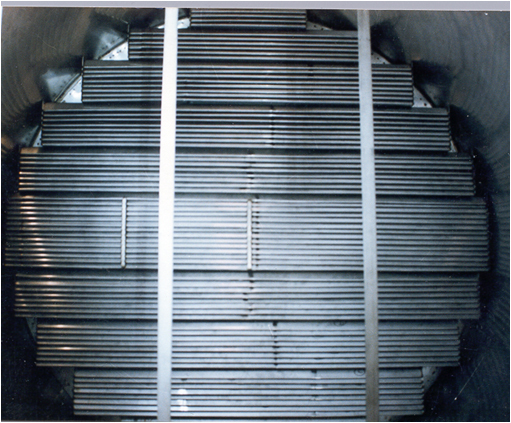 An AISI-316-L stainless-steel sedimentation tank featuring cut-off screens causing the sedimentation of solid particles. As a result, when recirculation recommences, the water is already free of soot and solid residue. 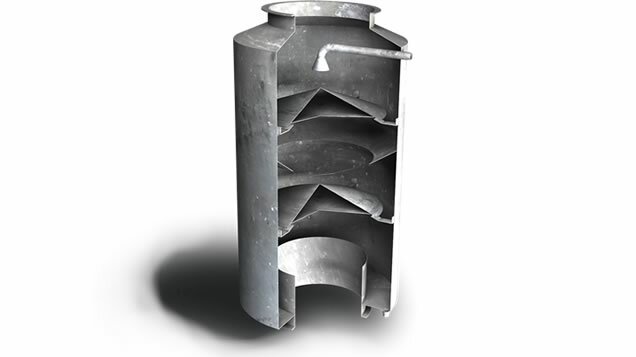 A recirculation pump that drives the water from the sedimentation tank to the scrubbers and back to the tank, thereby completing the water circuit. A pH meter and soda dosage pump. The pipe connecting the different items in the system.